The 2018 Land Rover Evoque is a high society SUV, designed for those who demand sophistication, opulence and performance all in one. Its powertrain has been upgraded, giving it a power boost in the higher trims. However, it is rivaled by the 2018 Porsche Macan, an SUV praised for its speed, array of options, lovely interior, and GTS edition. Which of the two is supreme? The front of the Macan is very similar to other Porsche models, in terms of the bumper, headlights, and side strakes. The tailgate in the rear is smooth, with wraparound LED lights and tailpipes that are squared off. The cabin is equipped with a touchscreen in the center with lots of buttons and controls. The Land Rover Evoque has attractive sheet metal in its exterior, with a shape that is akin to a wedge, with fenders that are swollen, corners that have been sharpened and 19-inch wheels. Black leather adorns the interior with wood or metallic trim. The Land Rover Evoque comes with lots of airbags, along with a warning for forward collisions, parking sensors, brakes which are emergency automatic, and monitoring for blind spots. Drivers can also upgrade to high beams which are automated. Within the cabin, passengers will be greeted to infotainment screens that are eight inches, leather upholstery, seats that can be power adjusted and an audio system by Meridian. The Porsche Macan is one of the safest SUVs in its class, due to its assortment of features such as cameras which are surrounded view, warnings for lane departures, and monitoring for blind spots. Interior amenities consist of an audio system with ten speakers, Alcantara upholstery, climate control which is automatic and tri-zone, seven-inch touchscreens and connectivity with Bluetooth. 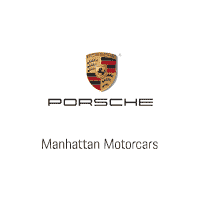 The Porsche Macan houses a very impressive suspension system along with a transmission that is top of the line. Its turbo 4 engine is capable of producing up to 252 horsepower with 273 pounds of torque, allowing it to go from zero to sixty in little over 6 seconds. The Land Rover Evoque also uses a turbo 4 engine, that is 2 liter and capable of producing a maximum of 237 horsepower with 251 pounds of torque. Even though the Porsche Macan and Land Rover Evoque use the same type of engine, the Porsche still has an edge in performance. Additionally, the frame used by the Land Rover has become dated, and the rear seat is more cramped than it should be for an SUV of its price range, so the Porsche Macan wins.